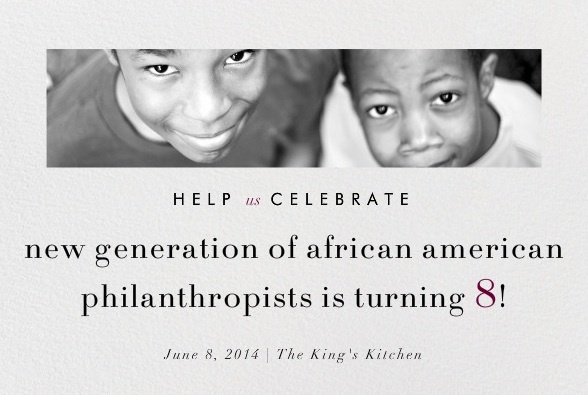 Today, 8 June 2016, marks the 10th anniversary of my giving circle New Generation of African American Philanthropists! Celebrate the POWER OF TEN with us by making a gift to the Giving Back Project, our civic engagement initiative to reframe portraits of philanthropy. Read our story below. 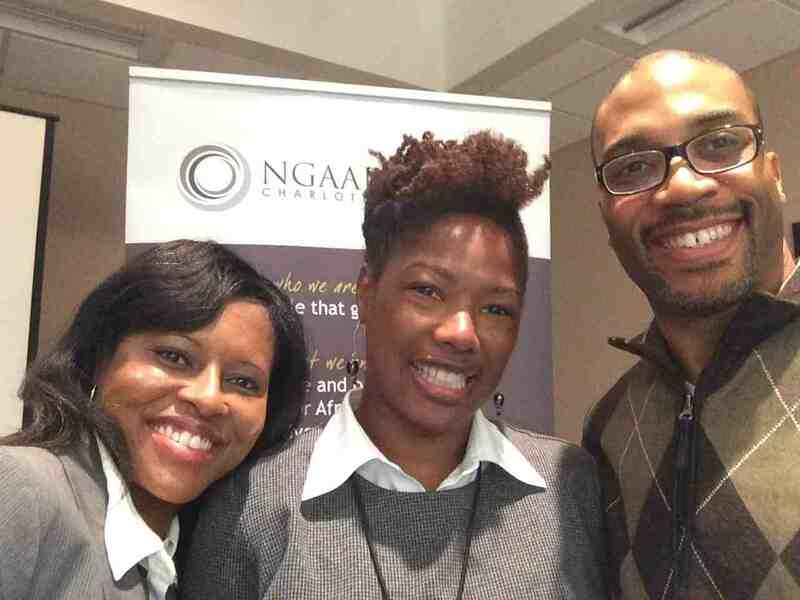 Founded in 2006, New Generation of African American Philanthropists (NGAAP-Charlotte) is a giving circle with members who share values around philanthropy and pool charitable dollars to give back to the community. We envision “a healthy, safe and prosperous community for African American families to live, work and flourish,” Our mission is “to promote philanthropy-the giving of time, talent and treasure-among African Americans in the Charlotte region, with the goal of enhancing the quality of life within our communities.” Our circle’s fund is hosted by Foundation For The Carolinas. On June 8, 2006, a committee of the African American Community Foundation hosted a gathering at The Wadsworth Estate. The meeting was held in collaboration with community organizers Darryl Lester and Athan Lindsay, under a Ford Foundation-funded initiative to engage Black donors across the American South. In a room full of 60 people to generate ideas and momentum, a group of Charlotteans embarked on what would become the founding of New Generation of African American Philanthropists. Through collective giving, civic engagement and grantmaking, we explore new as well as time-honored ways of giving and embrace a definition of philanthropy that encompasses gifts of not only money, but also time, energy and intellect. 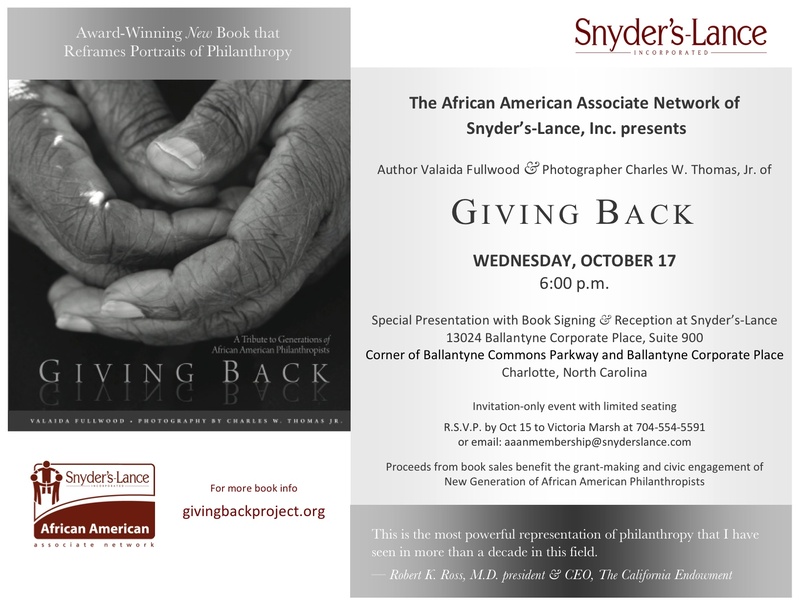 The Giving Back Project is our civic engagement initiative to reframe portraits of philanthropy and reclaim the root meaning of philanthropy—love of humanity—by celebrating African American history and traditions. The initiative began when we published the book Giving Back and has now evolved into a vehicle for sharing our collective stories, promoting inclusive and responsive philanthropy, stimulating reflective community giving. The multimedia exhibit “Giving Back: The Soul of Philanthropy Reframed and Exhibited,” our latest endeavor, is touring colleges and museums across the country. You can support and participate in our work by becoming a donor or donor-member of our giving circle. Our giving circle began with 17 members as well as numerous friends, and over the past decade has grown to include over 30 members and a growing number of friends. 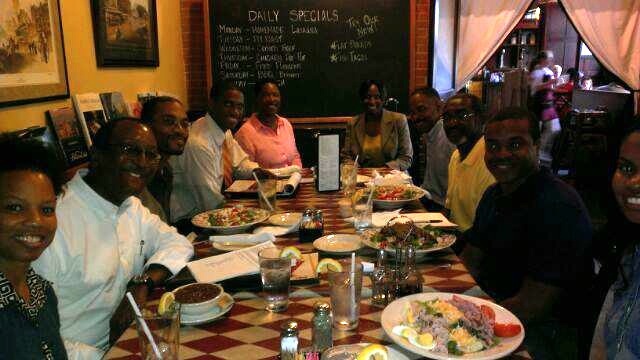 And my giving circle, New Generation of African American Philanthropists, had the good fortune of serving up heaps of good stuff. See for yourself here. Circle members at a monthly meeting (with requisite food in abundance). And while not the best photography, one of the greatest pictures ever! Happy New Year! Make 2014 a good year, too.